Compare prices from several car hire companies in Leon and find the best price for car rental. Our prices always include unlimited mileage and insurance. 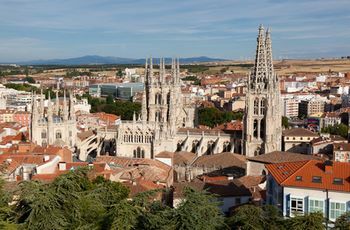 León was founded in the 1st century BC Kr. of a Roman legion and is located in the country’s northwestern part. León is one of the cities that pilgrims pass on their journey to Santiago de Compostela, and it lives around. 140,000 (2006) inhabitants here. In the old town you can see the preserved parts of the medieval city walls and the remains of the Roman city wall. Basilica San Isidoro stretches back to before 1000’s and here are the royal tombs and ancient frescoes. The most famous church in León is the beautiful cathedral which was built in 1200 – and 1300’s. Each year, held the great festival of San Juan y San Pedro the last week of June. The International Airport León Airport is located approx. 6 km outside the city center.